Delphi was once regarded as the center of the world. It was one of the most important intellectual and cultural sites of antiquity. Anyone who could afford it sought the advice of the oracle of Delphi before making a decision in both personal and public affairs. 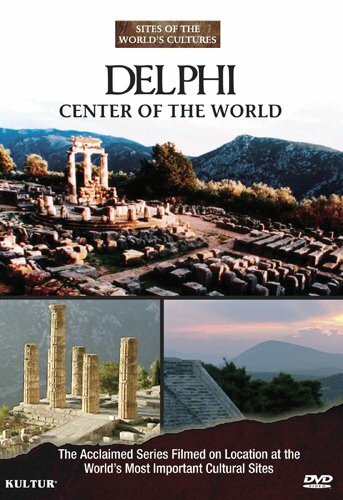 New York, NY (May 31, 2011) � Kultur is proud to announce the new DVD release from the series Sites of the World�s Cultures; Delphi: Center of the World . This DVD of perhaps the most mysterious city of Ancient Greece will be released June 28, 2011, for a suggested retail price of $19.99. Some of these oracle sayings have survived to the present day, over two thousand years later. The film describes the faith of the Ancient Greeks, whose ideas in fact often differ surprisingly from the conventional wisdom on this subject. Delphi's impenetrable myths, its mysterious fortune-telling practices and bloodthirsty animal sacrifices have left a trail which is still visible and palpable today, the trail of a legendary oracle which influenced European history for almost 1,000 years.